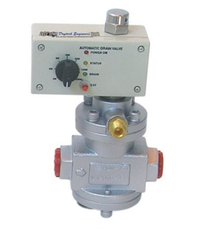 Over the years of experience in the industry, we have been able to provide the customers with an astounding assortment of Electronic Auto Drain Valve and Mechanical Auto Drain Valve. It is the most economical & efficient method of discharging unwanted condensate from Compressed Air Systems. All the products manufactured by us are as per the international quality parameters and best quality raw material and advanced technologies are employed. 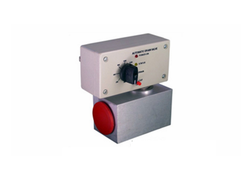 Our product-line is available in various sizes and customized models as per the requirement of our clients. We are dedicated firm engaged in offering very high-quality Mechanical Auto Drain Valve to our clients. The offered products find applications in different industries for varied purposes. The product is manufactured using very high-quality raw material procured from the most reliable vendors of the industry. All the products are quality tested before delivery to the customers to ensure 100% customer satisfaction. Being the leading manufacturers and exporters of Electronic Auto Drain Valve, we ensure the high-quality product is delivered to the customers. The product is an ideal solution for regular effective draining oil & moisture from Compressed Air System is. We provide auto drain valve in both types regular as well as the full bore. The product is several times quality tested before delivery to the customers and the entire process is under the surveillance of expert professionals. Easy replacement of timer card only and not full assembly. Longest drain time frequencies for saving compressed air energy. Prevents moisture/oil carry over to pneumatic equipment. 1 EADV 03 1/4" BSP (F) Compressed air filters up to 100 CFM capacity. 2 EADV 06 3/8" BSP (F) Compressed air filters above 100 to 500 CFM capacity. Air receiver up to 350-750 Ltrs. capacities. 3 EADV 012 1/2" BSP (F) Compressed air filters above 500 CFM capacity. 4 EADV 020 3/4" BSP (F) For air receiver 2M3 capacity. 5 EADV 025 1" BSP (F) For air receiver 3M3 capacity. 6 EADV 040 11/2" BSP (F) For air receiver 4M3 & above capacity. Looking for Auto Drain Valves ?